If you are in the market for a new luxury vehicle, the question, “How much does a Porsche cost?” is a logical one to ask. 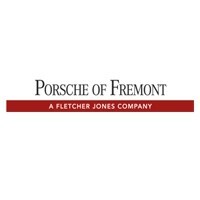 While there are many models to choose from, Porsche Fremont makes it easy for you by breaking down the Porsche prices for each model below. The Porsche 718 Cayman comes in three different configurations, each offering powerful engines that produce 300 hp to 365 hp. Each Porsche 718 Boxster configuration brings speedy performance. Even the entry-level 718 Boxster is fast, with a 0-60 mph acceleration time of 5.1 seconds. The Porsche 911 offers plenty of high-performance options across a range of price points, from the entry level 911 Carrera to the 911 GT2 RS, which has the ability to accelerate from 0-60 mph in just 2.7 seconds. From the base trim, the Panamera, to the powerful Panamera Turbo, to the E-Hybrid models, Saratoga drivers are sure to find a model with their ideal balance of performance, luxury, and efficiency. If you’re wondering, “How much does a Porsche SUV cost?” a great place to start is with the Macan. Not only does this lineup provide a variety of trims, the Porsche Macan is also luxurious, offering a standard touchscreen infotainment system and exterior color options that include Volcano Grey Metallic, Night Blue Metallic, and Carmine Red. The Porsche Cayenne lineup not only offers high-performance models but includes an E-Hybrid option as well for those looking for a vehicle with increased efficiency. Now that your question of, “How much is a Porsche vehicle?” has been answered, contact us with any other questions about our in-stock Porsche models, or visit us in Fremont to test drive a Porsche car! 0 comment(s) so far on How Much Does a Porsche Cost?